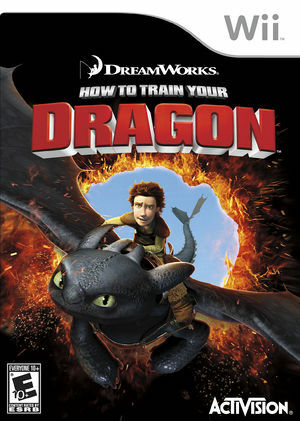 How to Train Your Dragon is loosely based of the movie of the same name, which is loosely based off the book series. The player can choose one of two main characters to play as, then proceeds to play through a series of events that occur roughly one year after the events of the movie. The game also features a 2-player local Arcade mode in which the player can battle with a computer opponent, against another player (using either pre-set dragons, locally saved dragons, or dragons exported to a memory device such as an SD card), customize locally saved dragons, and export locally saved dragons to a memory device. Water textures often use the pink 'missing texture' placeholder, corrected by disabling native textures. Some graphical artifacts can be spotted in the form of lines across the display and rows of pixels in the upper left corner that rapidly change color. The graph below charts the compatibility with How to Train Your Dragon since Dolphin's 2.0 release, listing revisions only where a compatibility change occurred. This page was last edited on 8 May 2017, at 21:39.